Bandhan Bank Limited (the “Company” or the “Issuer”) proposes to open on Thursday, March 15, 2018, an initial public offering of up to 119, 280,494 Equity Shares (the “Offer”), consisting of a Fresh Issue of up to 97,663,910 Equity Shares and an Offer For Sale of up to 14,050,780 Equity Shares by IFC and up to 7,565,804 Equity Shares by IFC FIG (collectively, the “Selling Shareholders” and such Equity Shares offered by the Selling Shareholders, the “Offered Shares”) (“Offer For Sale”). The Bid/Issue Period closes on Monday, March 19, 2018. The Price Band for the Offer is fixed from Rs. 370 to Rs. 375 per Equity Share. Bids can be made for a minimum lot of 40 Equity Shares and in multiples of 40 Equity Shares thereafter. The Equity Shares are being offered through the Red Herring Prospectus dated March 7, 2018 (the “RHP”). The Equity Shares are proposed to be listed on BSE and NSE. The Book Running Lead Managers (“BRLMs”) to the Offer are Kotak Mahindra Capital Company Limited, Axis Capital Limited, Goldman Sachs (India) Securities Private Limited, JM Financial Limited and J.P. Morgan India Private Limited. Karvy Computershare Private Limited is the registrar to the issue. The Offer is being made in terms of Rule 19(2)(b) of the Securities Contracts (Regulation) Rules, 1957, as amended (“SCRR”), wherein at least 10% of the post-Offer Equity Share capital of the Company will be offered to the public. The Issue is being made through the Book Building Process in accordance with Regulation 26(1) of the Securities and Exchange Board of India (Issue of Capital and Disclosure Requirements) Regulations, 2009, as amended (“SEBI ICDR Regulations”), wherein not more than 50% of the Net Offer shall be available for allocation on a proportionate basis to Qualified Institutional Buyers (“QIB Portion”). 5% of the QIB Portion shall be available for allocation on a proportionate basis to Mutual Funds only. The remainder of the QIB Portion shall be available for allocation on a proportionate basis to all QIBs, including Mutual Funds, subject to valid Bids being received from them at or above the Offer Price. However, if the aggregate demand from Mutual Funds is less than 5% of the QIB Portion, the balance Equity Shares available for allocation in the Mutual Fund Portion will be added to the remaining QIB Portion for proportionate allocation to QIBs. Further, not less than 15% of the Net Offer shall be available for allocation on proportionate basis to Non-Institutional Bidders and not less than 35% of the Net Offer shall be available for allocation to Retail Individual Bidders in accordance with the SEBI ICDR Regulations, subject to valid Bids being received from them at or above the Offer Price. All Bidders shall participate in the Offer mandatorily through the Applications Supported by Blocked Amount (“ASBA”) process by providing the details of their respective ASBA Accounts in which the corresponding Bid Amount will be blocked by the SCSBs. 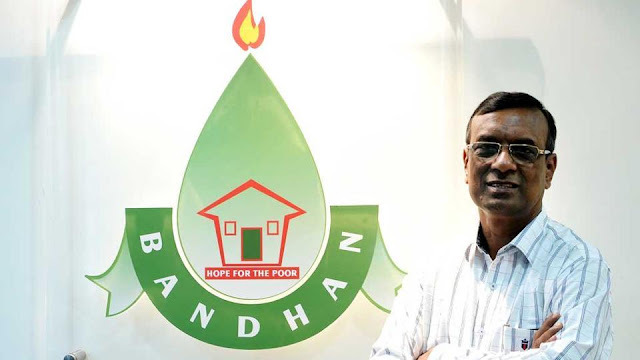 BANDHAN BANK LIMITED is proposing, subject to applicable statutory and regulatory requirements, receipt of requisite approvals, market conditions and other considerations, to undertake an initial public offering of its Equity Shares and has filed the RHP with RoC. The RHP is available on the website of SEBI at www.sebi.gov.in, NSE at www.nseindia.com, BSE at www.bseindia.com, and the website of the BRLMs, i.e. at www.investmentbank.kotak.com, www.axiscapital.co.in, www.goldmansachs.com, www.jmfl.com, and www.jpmipl.com, respectively. Any potential investors should note that investment in equity shares involves a degree of risk and for details relating to the same, please refer to the RHP, including the section “Risk Factors” of the RHP. Potential investors should not rely on the DRHP filed with SEBI for making any investment decision. The Equity Shares have not been and will not be registered under the U.S. Securities Act of 1933, as amended (“Securities Act”) or any state securities laws in the United States, and unless so registered, and may not be offered or sold within the United States, except pursuant to an exemption from, or in a transaction not subject to, the registration requirements of the Securities Act and in accordance with any applicable U.S. state securities laws. The Equity Shares are being offered and sold outside the United States in offshore transactions in reliance on Regulation S and the applicable laws of each jurisdictions where such offers and sales are made. There will be no public offering in the United States. Capitalised terms not otherwise defined in this press release shall have the meanings given to them in the RHP. How To Save For Your children's education? CIBIL FAQS - LOAN REJECTIONS & DISPUTES..! Banking Ombudsman : How to Approaching? ICICI Securities IPO: Should You Invest? Hindustan Aeronautics IPO : Should you Invest? Karda Constructions IPO: Should you Invest? Sandhar Technologies IPO - Should you Invest? The Resurgence of Shopping Malls in India..! PROPERTY: Now is the RIGHT time to buy?